Boeing pride spreads far and wide. Not only do we have a great company, but we have involved, engaged sites with terrific community spirit. Show your team allegiance with our distinctive program/site shirt. 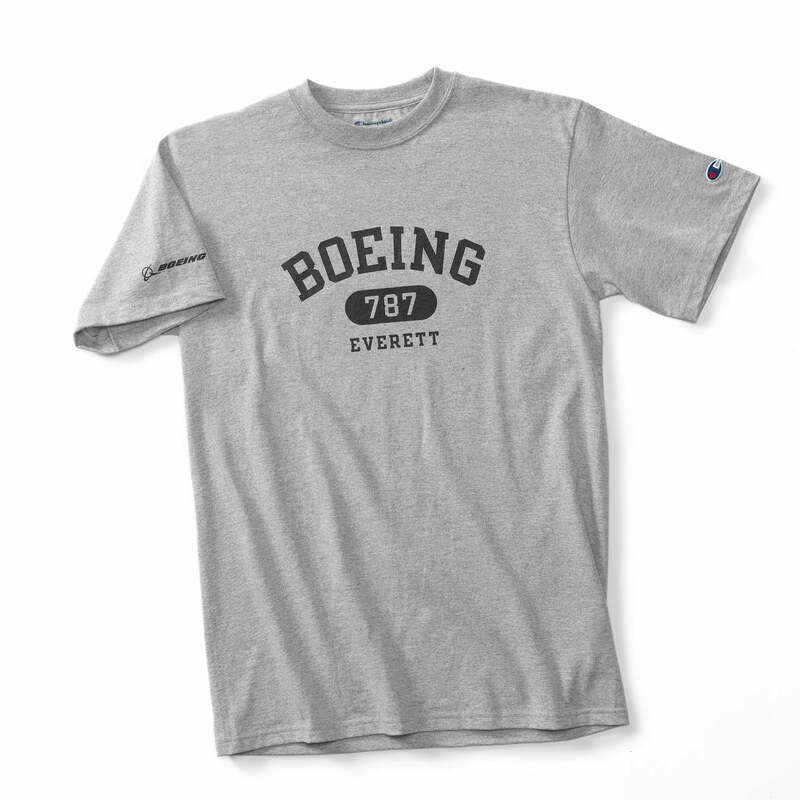 Cotton-rich jersey T-shirt features the Boeing name in varsity-style letters across the chest and the program ID and site name in smaller letters underneath. Athletic styling and fit make this shirt a great choice for team events and recognition. Set-in rib-knit collar, self-fabric shoulder-to-shoulder taped seams, and double-needle-cover stitching at neck, sleeve, and bottom hem offer durability. 90% cotton/10% polyester. Imported.